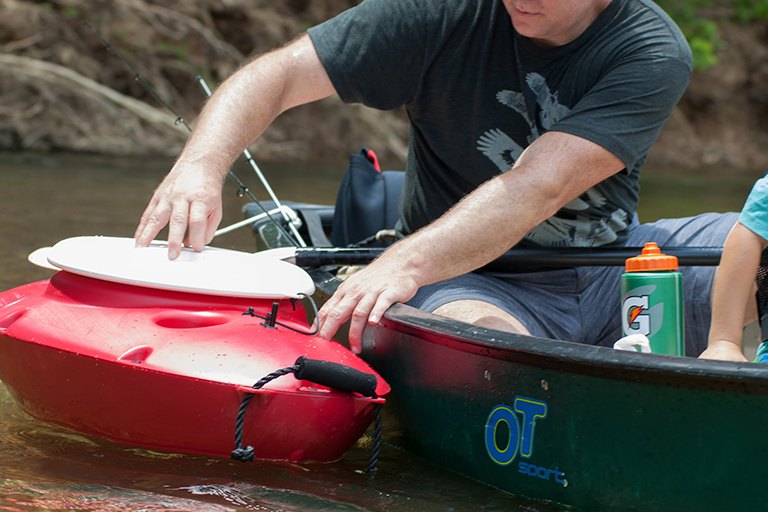 Create a little more legroom in your kayak, canoe or raft by using the CreekKooler to hold your food and drinks. The insulated CreekKooler attaches to your watercraft and floats alongside you, allowing you to ditch the traditional cooler on your fishing outings. With a 30-quart capacity, the CreekKooler can hold 30 12-ounce cans and 20 pounds of ice under its watertight lid. It also has four drink holders and a mini flag holder. Cost is $165. For more information, visit kanoolerproducts.com.